There are so many fabulous family festive activities in the North East at this time of year, but it can soon start to add up and make a big dent in the Christmas budget. 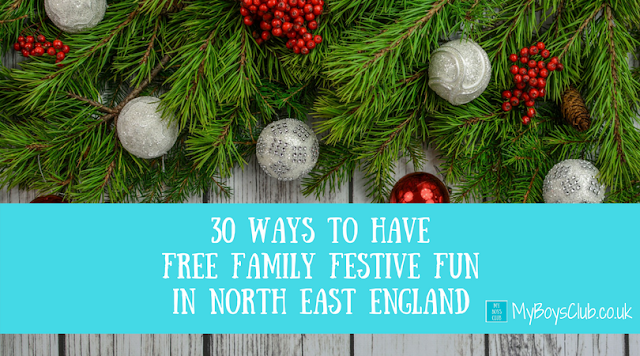 So with just less than a month left until the big day, here are 30 FREE ways to get your family into the Festive Spirit this Christmas in North East England. The International Christmas Market will take place at Grey’s Monument, Grey Street and Grainger Street. While the rest of the world are ticking iPods and Wii consoles off their list, you can get back to the cosy feeling of handmade foods and buying special one-off gifts for your family and friends. This market brings us gourmet ingredients and a very real taste of Europe. You can get a currywurst from Germany, waffles from Holland, paella from Spain and crepes – both sweet and savoury from France. The renowned Christmas tree sales Chopwwell Wood bring a wide selection of fantastic quality British-grown trees to the Wood. The atmosphere is magical and buying your real tree from Chopwell will help protect the Wood. On Saturday 2 & Sunday 3 December, and Saturday 9 & Sunday 10 between 11am - 3.30pm, Santa will be joining the renowned Christmas tree sales in the Land of Oak and Iron, with crafts and refreshments too. Enjoy the festive ambience of Christmas in the Coach Yard at Raby Castle. Illuminated trees will greet you on the grounds, along with the smell of mulled wine and real Christmas trees in the Coach Yard. Find beautiful presents in the Gift Shop and enjoy a festive treat in the Tearooms. 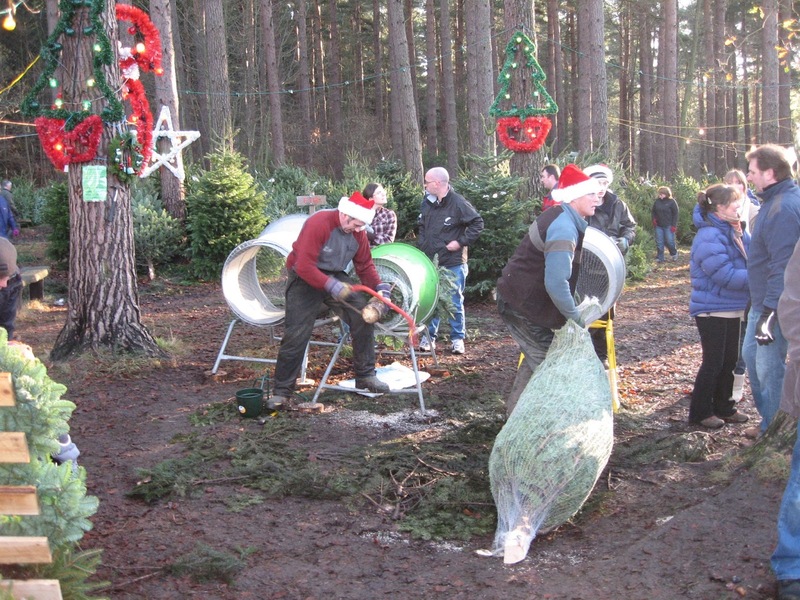 Raby Christmas Trees - Get into the Christmas spirit by choosing from hundreds of real Christmas trees grown locally on the Raby Estate. All lined up in the Coach Yard ready for you to pick and take home. Gift Shop - The Gift Shop at Raby Castle has been re-stocked this year with beautiful gifts for your home and garden, traditional toys and games for children, as well as specially selected Christmas decorations and festive goodies, to help you find a unique gift for friends and loved ones. Tearooms - The tearoom, housed in the old stables at Raby Castle will be serving warming drinks, cakes and festive themed snacks as well as daily hot specials. Visit the new ‘Christmas Cabin’ outside for warming mulled wine, gingerbread and other festive treats. This dedicated Christmas Market will run for five weeks from Friday 24 November to Sunday 24 December 2017 and there will be an extensive range of Christmas gift ideas, toys, decorations and tasty things to eat. Santa and his elves are taking over the Qube as the Christmas grotto is now open for business. The grotto is completely free and little ducklings over 18 months will get a free Playmobil gift too. Is your child under 18 months? They'll receive a fun roll-along toy, so won't miss out. 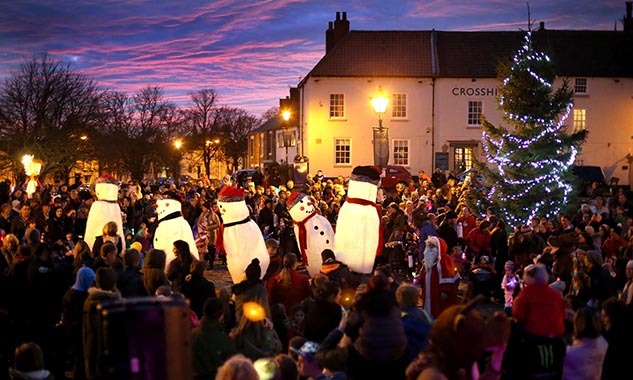 Shoppers can enjoy a magical Christmas experience, right in the heart of Durham city free of charge. For the first time Prince Bishops Shopping Centre have installed an enchanted wonderland in the kids department inside M&Co that opened in the unit where BHS once traded from on Saturday 18th November. Children can be amazed by a miniature Christmas village, a leafy woodland scene scattered with elves and creatures and a frozen ice castle while they wait to see the man in red! The experience has already been dubbed ‘Durham city’s best ever Santa’s grotto’ and the opening weekend saw a record number of visitors. 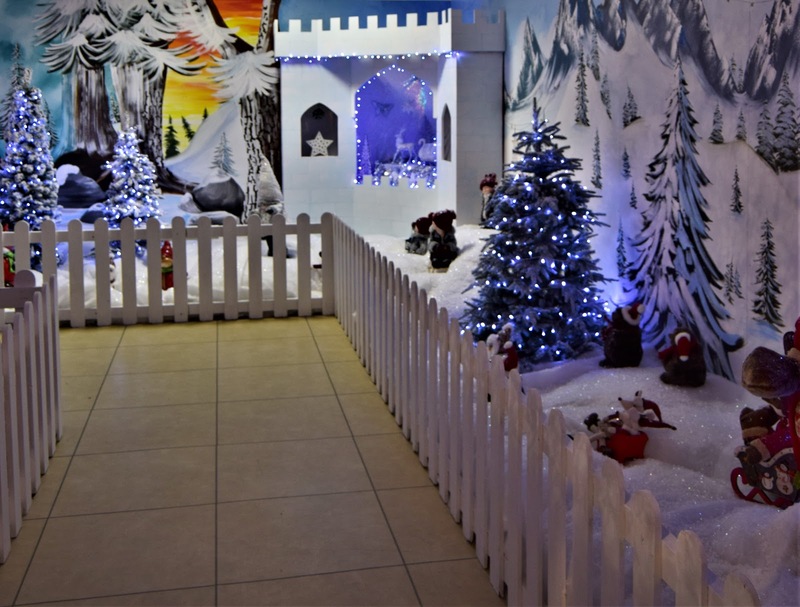 Entry to the grotto and Christmas wonderland is free but the shopping centre is accepting donations to its charity partner for 2017/18, Heel & Toe Children’s Charity. An extra special festive-themed augmented reality digital trail is live across the City in December right up until the New Year. 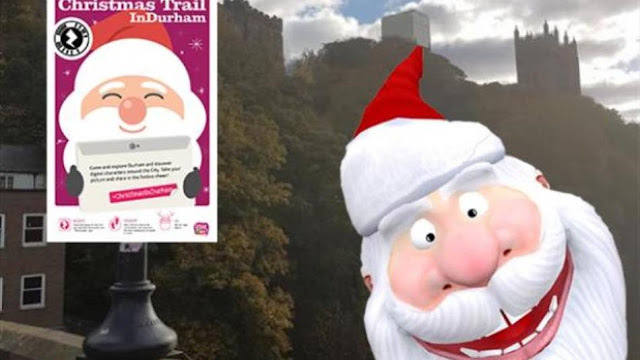 Keep your eyes peeled for special digital trail signs across Durham this Christmas. Follow the trail around Durham's historic streets and shops, take some snaps and hey presto, see who pops up! 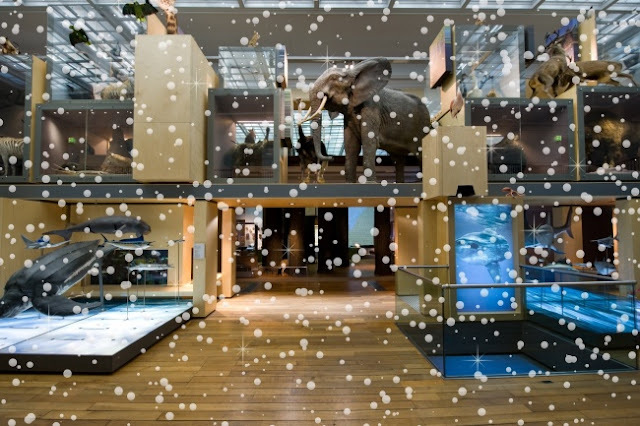 Will you find a snowman, some reindeer or perhaps even Santa himself? Simply download the Digital Christmas Trail map – just one of the many festive activities happening across the City as part of our Christmas InDurham programme – and see how many interactive, augmented reality experience you can find. 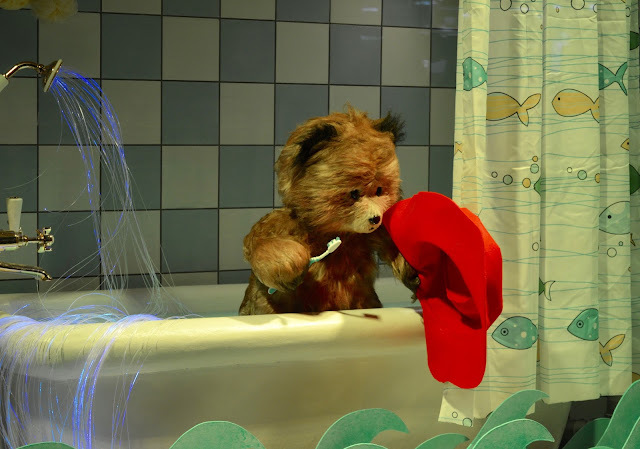 Take a stroll up Northumberland Street in Newcastle to view the annual amazing spectacle of Fenwicks Windows and see Paddington as you’ve never seen him before. Available to be enjoyed daily from 8am to 10pm until the New Year. Combine it with a visit to see Santa if you’ve been lucky enough to book a slot, if not make time to see the fabulous Christmas Department. Enjoy a late-night shopping experience packed full of merriment and festive cheer in one of Newcastle's most iconic buildings, The Grainger market. On 1st December, the historic market will remain open from 5 pm until 10pm where there will be late night shopping, music, food, dancers, tours, sing-a-longs, freebies, offers, a Christmas Bar and hot drinks. FREE tickets are available here. VIP tickets also available. 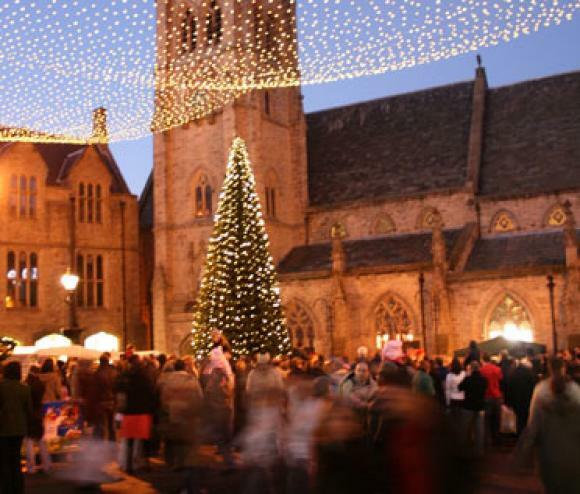 Based around the Cathedral and Castle, as well as other city centre locations, Durham City’s Traditional Christmas Festival provides excellent Christmas shopping opportunities alongside festive entertainment. The Craft and Gift Marquee on Palace Green will feature over 190 stalls, while 30 regional food and drink producers will be in the Cloisters of Durham Cathedral. There will also be outdoor markets in Durham Market Place, and Millennium Place, and more than 50 more traders in Durham’s Market Hall. Enjoy the local producers market in the Cathedral Cloister with a range of delicious breads, pies, cheese, hams, pickles, jams, cakes, sweets, chocolates and desserts – plus various hand-made crafts, candles, jewellery, gifts and much more! Join in the Carols for All Services over the weekend or an evening concert with Christmas with Durham Cathedral Choir, bookings essential. 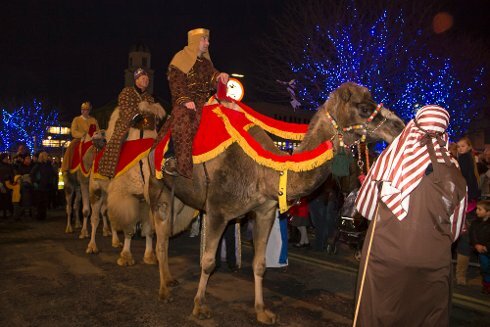 Join a spectacular evening of entertainment at the unmissable Camel Parade! The three wise men and their camels return to South Shields this December for an evening of fabulous entertainment at the Camel Parade, one of the highlights of our Christmas event programme. Line the route along Ocean Road for the best spot to see the camels, who will be joined by a number of street entertainers such as festive stilt walkers and illuminated characters. 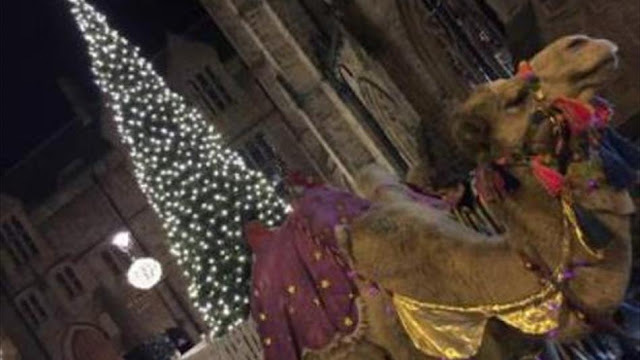 At the seafront there will be even more entertainment and music featuring all your Christmas and party favourites, then once the camels have left the area the evening will end with a fabulous fireworks display. 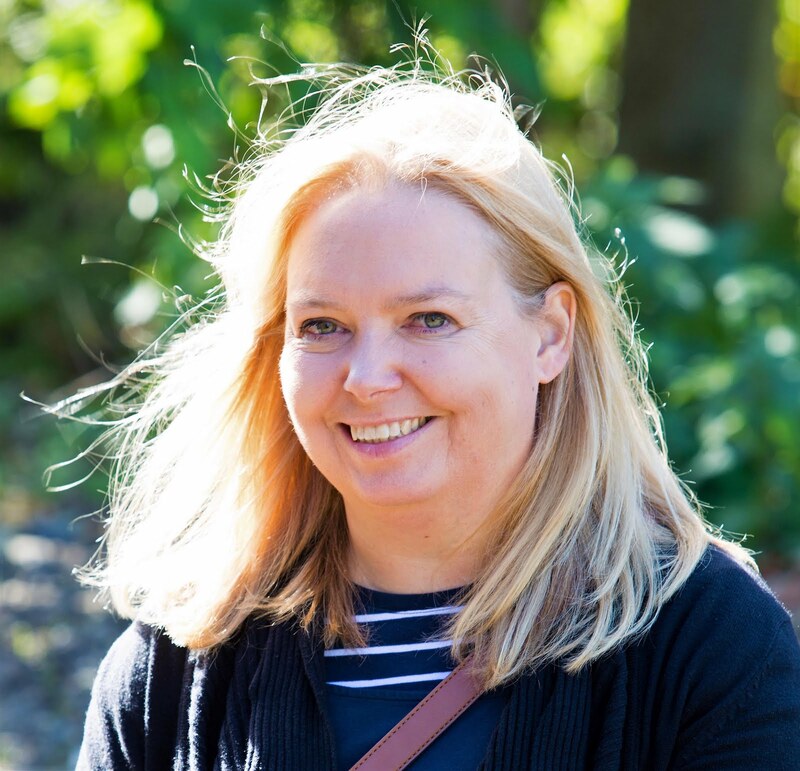 The evening will be hosted by BBC Newcastle's Sue Sweeney. This year will see more fabulous stalls, music, entertainment, fabulous food & drink and also the lights on at the station at 4.30pm! The Christmas trees will be on sale again, so you can carry your tree home and decorate it to continue the festivities at home! You may even find some fabulous decorations to add to your tree! 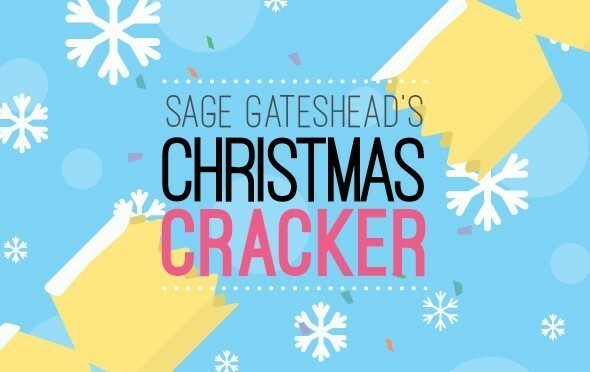 Head to Sage Gateshead for a Christmas Fair with a difference! Bringing together independent vendors and products from across the region for a one-day event, taking place in the fabulous Concourse in this stunning venue. There’ll be a special festive blend of free music and family-friendly entertainment including demonstrations, children’s face painting, Santa’s Grotto and a special visit from Bjorn the Polar Bear! Our annual Hospice Christmas Fayre is taking place on Saturday 2nd December here at our Bishop Auckland Hospice. We have lots of Christmas Stalls, face painting, refreshments, raffle and a tombola. Join us for our Christmas Craft Fair as the arts centre is filled with a variety of stalls selling products created by local artists and craftspeople. With stalls selling jewellery, cards, bags, home baking and more this is the perfect place to find an unusual handmade gift or treat. There will also be refreshments on sale including mince pies and mulled wine and carol singing by our fabulous Community Choir. Make your own Christmas card or decoration on Saturdays in December. Suitable for children of all ages but children must be accompanied by an adult. 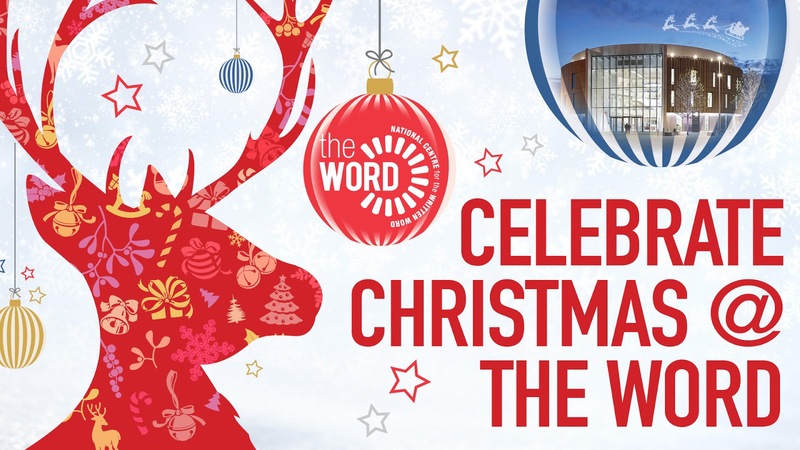 Join The Word throughout December for a ‘Musical Christmas in the Atrium’! Enjoy a range of talented choirs and vocalists who will fill the Atrium with festive spirit as they sing Christmas carols for all to enjoy. See website for times. Monday 4 December from late afternoon into the evening. Late night shopping, food, music, stalls and so much more all around the village on this very special night of the year in the Market Place and all around the village. Part of Christmas InDurham. Telling the greatest story ever told, Durham Market Place will become a stage upon which the first Christmas will be told. Camels will bring the wise men and their gifts. Wrap up warm as this is an outdoor performance. The National Glass Centre values all that is made locally and is holding a craft fair to celebrate the beautiful handmade crafts the North East has to offer. The fair will be packed with stalls from local and regional crafters over two days. It's the perfect opportunity to buy a unique handmade gift or just treat yourself to something really beautiful! Their children's Love Christmas event will also be on both days so feel free to drop-in on the activity whilst you're there. Come along to the Natural Northumbria gallery between 11am - 3pm and meet a robin from our handling collection, then use our craft supplies to create your very own robin to take home. This activity is designed for young children and their families. Come along and enjoy this Festive event at Washington Village, enjoy the Christmas market, delicious food, feed the reindeer, get a photo with family and friends in the snow globe, chat to the naughty elves and much much more. This event is supported by Washington Area Committee. Woodhorn's annual Winter Market takes place in their beautiful Workshop Galleries. The Market features a fabulous selection of gifts, food and produce from some of the region's finest makers, crafters and producers. Please note: Entry to the Winter Market and Museum is free, on-site parking is £3.50 per vehicle. The weekend will also include the Pityard Skating Rink and Father Christmas Stable Grotto but additional charge and booking procedures apply to these activities. The 16th will be when we at Alphabetti celebrate our Christmas Day. Our Christmas Market will begin at 1pm including food stalls, art, handmade stocking fillers and fun craft stalls for the kids. Merriment, music, mince pies and mulled delights in abundance. 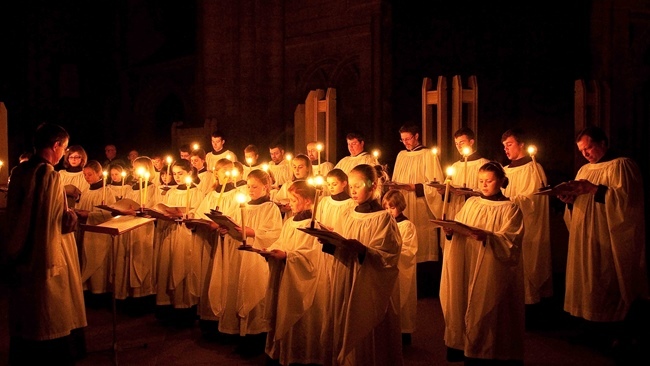 Enjoy a traditional Festival of Nine Lessons and Carols which always starts in darkness with a solo chorister singing the first verse of Once in Royal David’s City. These services are a highlight of the Advent and Christmas season and are very popular services, so you are advised to arrive in good time. On Sunday 24 December the Durham Miners’ Association Band will play before the service. Hadrian’s Tipi is winter pop-up retreat located in the very heart of Newcastle. It offers everything a hardened Christmas shopper would want on a cold day… Inside you’ll find a warm log fire, cosy snug seating areas that welcome families, groups and dog owners alike. It has a large well-stocked bar of hot & cold drinks favourites from local breweries and suppliers. 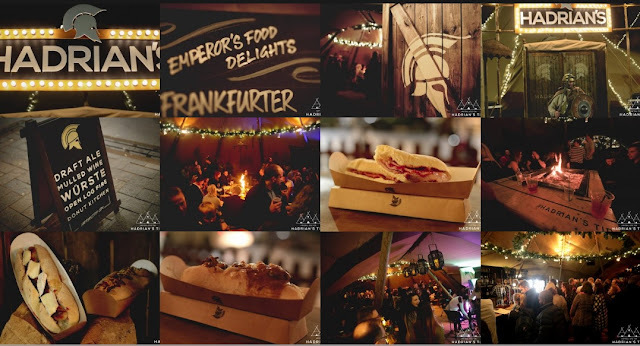 Enjoy the outdoor Winter Beer Garden with Christmas trees, atmospheric lights & outdoor shelters to protect you from the elements. If you know of any other free Christmas events and activities please add them to the comments. All event details are subject to change please do check with event organisers.